"Pope Francis went there last year, when Pope Francis says the question is not is there a humane way of carrying out executions. There is not a humane way of carrying out executions, he said," Dunham told Catholic News Service in a Dec. 13 telephone interview. "At the same time, Pope Francis was stressing what he called inadmissibility because it is inherently in conflict with human dignity." The revision to section 2267 in the Catechism of the Catholic Church, which took effect Aug. 2, calls capital punishment "an attack on the inviolability and dignity of the person," and commits the church to work "with determination" for the worldwide abolition of the death penalty. The 1992 catechism originally said: "The traditional teaching of the church has acknowledged as well-founded the right and duty of legitimate public authority to punish malefactors by means of penalties commensurate with the gravity of the crime, not excluding, in cases of extreme gravity, the death penalty." At the same time, it said "bloodless means" that could protect human life should be used when possible. 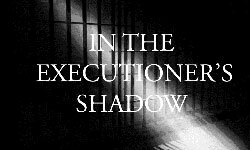 However, following publication of St. John Paul II's 1995 encyclical "Evangelium Vitae" ("The Gospel of Life"), section 2267 was revised in 1997 to say that the cases in which the execution of the offender is an absolute necessity "are very rare, if not practically nonexistent." "The revisions to the catechism are very significant for abolitionists. And they're significant both symbolically and in a practical manner. Symbolically, Pope Francis has become a moral beacon on this issue, even more so than John Paul," Dunham said. "I was talking with Cardinal (Blase J.) Cupich (of Chicago); we did a podcast with him. He and I were on a panel in Chicago -- the date, coincidentally, the date the catechism was changed -- and Cardinal Cupich was explaining the evolution of Catholic theology on this issue. What Pope Francis has done is not just consistent but is the logical extension of John Paul's teaching about the death penalty and Pope Benedict's statements against the death penalty," he added. "The thing that is, I think, critically different in Pope Francis' pronouncement and the new catechism is that it closes the door on excuses or exceptions that would have allowed the death penalty to take place," he continued. "The practical importance of the new catechism is that it commits the church itself as an institution to formally opposing capital punishment. And on the ground, that will mean more active involvement by the bishops, by the cardinals, by the priests and the laity." "We've already heard stories of public officials trying to grapple with their moral qualms about capital punishment, and their prior public stance for the death penalty as a policy," he said. "I don't think that we're going to see a change overnight; it's not as though Pope Francis waves an encyclical wand and the laws will change. But we were already seeing a dialogue, and it is a dialogue that is changing attitudes and views one at a time among people in power who will be making decisions on life and death." Dunham added, "I think that what we are going to see is a continued erosion of death penalty support among formerly pro-death penalty Catholics, and while that's not a huge portion of the population in the United States, it's a portion that is disproportionately on the bench, in prosecutor's offices and in the halls of Congress and the legislature." The difference between "abolition and nonabolition," he said, is "changing a few votes in a few states." "So one state at a time, we may see the death penalty abolished," he said. "In retrospect, we can speculate how many of the changed votes are a product of the new catechism. We'll never know for sure. But we can be certain that it will have an effect, because it has already had an effect. We know from discussions with public officials that it has already had an effect." The center Dec. 14 issued "The Death Penalty in 2018: Year-End Report." In it, it noted that only Oklahoma, Missouri and the U.S. government increased the number of prisoners it had on death row in 2018. The number of prisoners on death row nationwide went down, a streak that started in 2001.